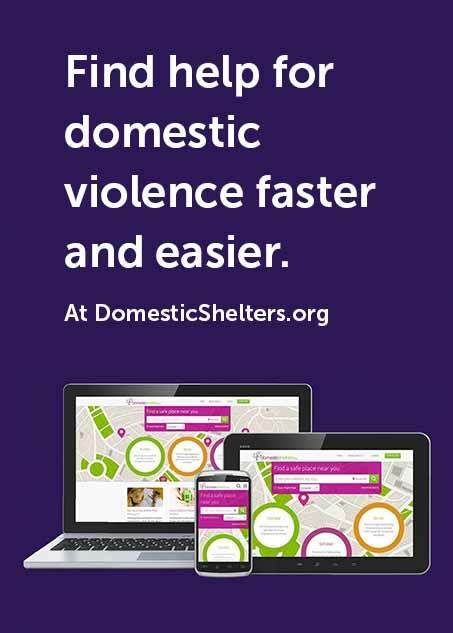 Dealing with domestic violence is hard for everyone. But the deaf and hard of hearing face unique challenges others don’t even think about—challenges which make leaving all the more difficult. The deaf and hard of hearing experience the same types of abuse others do—physical, sexual, financial, emotional and spiritual—but, they experience it at a rate 1.5 times higher than the hearing population. Those who are deaf also are subject to unique forms of abuse that hearing people aren’t. Isolation is one tactic abusers can easily inflict on their partners. Financial abuse is also prevalent, as many who are deaf receive supplemental security income (SSI) from the government. Abusers will often take control of the checks. Deaf people also may have a harder time reporting abuse and getting help when they want to leave an abuser because of communication challenges. A query of the DomesticShelters.org database shows that sign language is the third most common language provided by shelters in the U.S. behind English and Spanish, however it is only available at 5.3 percent of shelters. However, that shouldn’t stop a person who’s deaf or hard of hearing from getting help. Deaf survivors might consider carrying a card with them to explain they are deaf and to request an interpreter. It’s also important to remember that help navigating the system is available. Call the Abused Deaf Advocacy Women’s Services via video phone at 206-812-1001 or email nationaldeafhotline@adwas.org. Advocates are available 24 hours a day and will respond within 15 minutes. The National Domestic Violence Hotline is reachable at 800-799-7233 (voice) or 800-787-3224 (TTY).